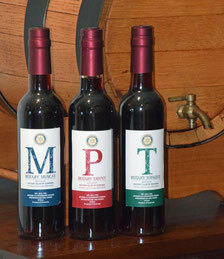 The Rotary Club of Corowa has bottled a fortified wine 3 pack. The pack consists of Muscat, Topaque (formerly Tokay) and Tawny. The Club acquired a 450litre barrel of each wine from Fairfield Winery when they closed down. It is worth noting many local wineries also bought similar wines for their stocks and blend. The wines are at least 20 years old and exhibit the rich and luscious characteristics that Rutherglen fortified's are world famous for. Muscats and Topaques of this age and quality sell for around $60 per 375ml bottle at many of the more famous wineries in Rutherglen. We are selling the pack of 3 wines for $60 each. These packs make excellent gifts for the wine connoisseur, or that person who is hard to buy for.